Or better still, the 5998A, that have a substantial higher gain and hence has lower requirements for the driver tube. A very similar tube with slightly less gain is 7336. I have built a two-tube 5998A-SE with a 12AT7 as driver and started a second one with two 5998As, having the twin triodes i parallell. I can see where matching becomes a larger issue in a PP design. I've had this design in my files for a while that I've found interesting. But why when there are so many better tubes for the job. Your right, just thought the design was interesting. I'm planning on building a 6CY7 and 6EM7 SE amp. Because you can do it with this kind of tubes!!!! There was a time back in the 70's when everyone had to brew his own wine from assorted junk, like rice, beets, dandelion, carrots etc, avoiding berries and fruits. And this was just before the liberal party manage to pass a bill forbidding Swedes to use anything BUT fruits and berries for homemade wine. I think people hade to try it out because it was possible, even if the result was as close to vineager you could come. I can have a strong opinion regarding various tubes that are impossible to drive, are far from linear or requiring the most idiotic voltages and currents. However there are unsuitable tubes that may look cool or just happens to "be at hand" and that can be made to work. 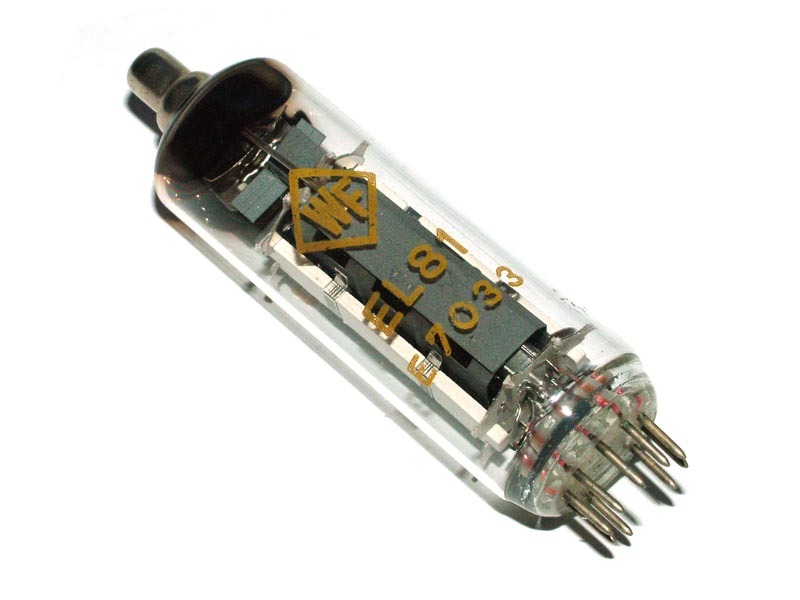 Among my collection of must-use tubes are 2C39A and a quadrupel of EL81 (aka 6CJ6). Maybe even 829 and 832 are slightly unsuitable but as they are cool to look at and resemble 6V6 and 6L6 they are at least fully acceptable. Tubes like 6AS7G, 5998A and similar happens to be so great as you get two power triodes in one bottle. Soundbrigade haven't heard from you for a while. But you always surprise! I have had a period of deepest lethargy and haven't been able to go either forward or backward with my MANY projects. But now, finally I am slowly moving and started with a Darling-project that stalled long time ago. However no big success but at least I am on the move. The tubes above are just examples of specimens in my boxes. The EL81 can make a nice PP-amplifier. I like the anodes on top and the 2C39A is aimed for a SE-amp of 0,75W!!! I also, have the two amps based of 5998A, but I think I just mentioned that. One other thing to look into is compactron tubes. I have a feeling that there must be some that are built a little like 6EM7 or 6CY7 or maybe yet more complex. I built s few amps with the 6T9. Triode and pentode in the one bottle. It was a Spare Tome Gizmo design. Soundbrigade good to see you back. I go through stages where I can't get inspired. But lately flat out. 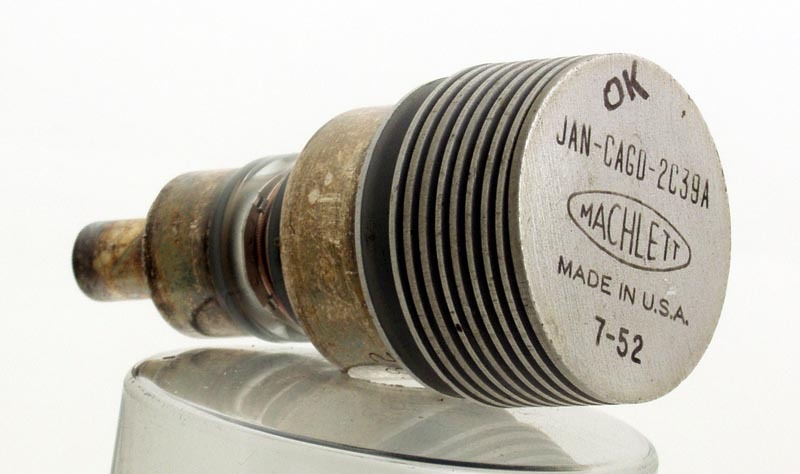 6T9 and 6T10 are useful and fun compactron tubes, but I as thinking if there were more intricate ones like ECLL800. I recently bought two of these to build me a compact PP-amp.